SONG NGỮ: LOẠN VINH DANH VỀ CON "MẸ NẤM" NGUYỄN NGỌC NHƯ QUỲNH!!! Chính Khí Việt: (Bài 5) ĐẠI SỨ HOA KỲ TED OSIUS TẠI VN CÓ BÀI TRẢ LỜI PHỎNG VẤN RẤT HAY!!! “On March 29, 2017, the U.S. State Department will honor Nguyễn Ngọc Như Quỳnh with the prize granted to International Brave Woman” because her bravery to voice out civil social issues which inspire the aspiration to peaceful changes, calls for more transparency in government and access to basic human rights, also a representing voice for the right of free speech. Perhaps Vietnamese readers have been aware of this crisis of honoring which began since communist top diplomat Lê Đức Thọ and Henry Kissinger, U.S. Secretary of State, who shared the Nobel Peace Prize. Lê Đức Thọ’s hands were always fully soaked with blood of innocent citizens of Vietnam therefore he did not receive it and returned it immediately to the Nobel Peace Prize committee. But Kissinger who dearly loved US dollars so he “tried to hold back his breath” for a few years to think it through but finally he decided to returned his prize to the Nobel Peace Committee. All prizes, in general, when they are politicalized then they become bad jokes. 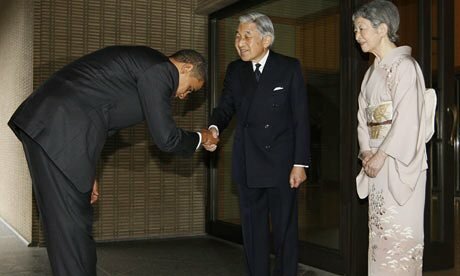 Especially the Nobel Peace Prize was awarded to U.S. President Obama only a few days after he was inaugurated to become the 44th U.S. President. When Vietnamese people realize that somebody is awarded by organizations with prizes then they also need to find out who nominates them and who awards them? And what did the nominees achieve to serve the people and Vietnam fatherland. For example, the single mother with 2 kids Nguyễn Ngọc Như Quỳnh did have “honor to receive the human rights of Vietnam by the Network of Human Rights whose headquarter is located in the U.S. due to her records of struggling for human rights (sic) then people who pay attention to political activities in Vietnam will immediately understand who the “card of Nguyễn Ngọc Như Quỳnh” is and the “Network of Human Rights for Vietnam” with its headquarter in the US has been led by which political party? According to Ted Osius this prize usually nominates “women who had been imprisoned, tortured, threatened to their lives or suffered serious injuries due to their uprising for justice, human and legal rights” (sic), obviously in the Socialist Republic of Vietnam (SRVN). 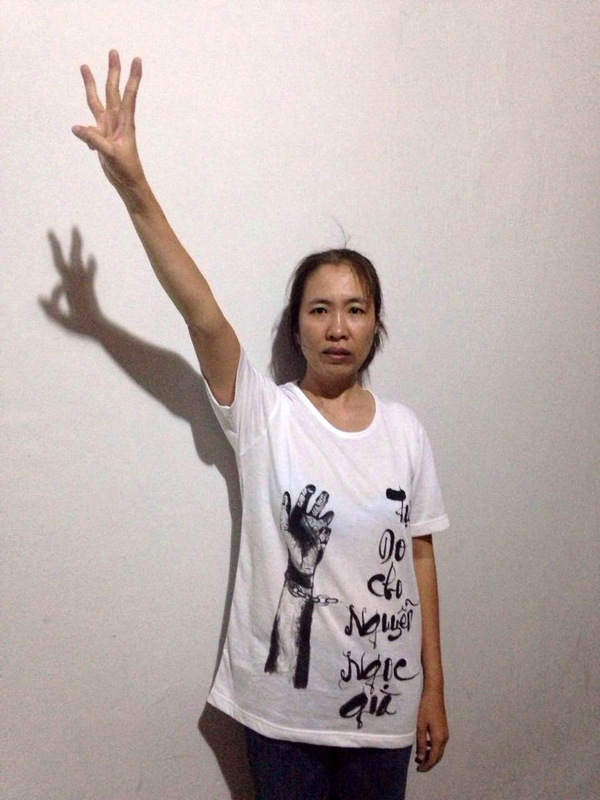 Let’s question how long has Nguyễn Ngọc Như Quỳnh been imprisoned, and her situation of being confined? How bad was she tortured? How was she threatened to her life? How was she injured seriously due to her standing up for justice. People all need concrete evidences. Note 2: First, how did the nominating organization to Nguyễn Ngọc Như Quỳnh conduct studies and interviews to come to a final conclusion that among several million Vietnamese females who are living in the slavery situation in Vietnam Nguyễn Ngọc Như Quỳnh deserves the prize. This question may raise some serious questions about its nomination organization’s vague, partial, quick, non democratic and non transparent method of selection. The selection is quite similar to the selection process of the People Congress of the Socialist Republic of Vietnam. It means only top communist political leaders exclusively reserve their right to select congress representatives. And the right of majority people to be informed, discussed and controlled are only fake political slogans. This is similar to the incantations setup on the cultivation fields in the countryside which are used to scare away ghosts during the season of “Royal Ceremony”. Another foolish fact: A woman who was nominated to be the bravest lady was not nominated by the Vietnamese people inside Vietnam but by political organizations outside Vietnam. Let’s think over the fact that western, democratic countries usually organize free, popular elections to select leading officials. One of the most important requirements is that only citizens of that country have the right to vote to reap the benefits of their selection through their prudent choice. Otherwise, voters will generate very bad consequences for their hateful selections due to lack of thoroughly thinking and citizens’ responsibility. Note 3: To the author, Nguyễn Ngọc Như Quỳnh may be a brave figure to those who nominated and honored her. But to the people of Vietnam she fully has not been deserved to be an average ordinary honest person to protect and practice traditional ethical standards of Vietnam. Those female army officers sacrificed their physical safety, health, youth and family happiness to fight the red aggressors cooperated by its subordinates Vietnamese communists. Many female officers were too old to marry and build up their own families after being released from communist jails. They became physical and mentally exhausted and lived lonely with limited financial resources, shame and were discriminated by the communist victors until they died. These officers are not chubby, fat and happy as Nguyễn Ngọc Như Quỳnh. She is allowed to visit many countries in her arrogance. When she comes back home she meets with fake political opponents at Starbuck coffee shops and restaurants to drink coffee, tastes French cookies with friend foreigners with her big smiles, her face feels happy and superior to other people. She feels honorable to shook hand with foreigners or are friendly hugged by them. Nobody has seen her visiting or showing concern about her fellows who are “seeking-justice proletariats” who have roamed the streets to request their properties confiscated illegally by central and local communist governments be returned to them. 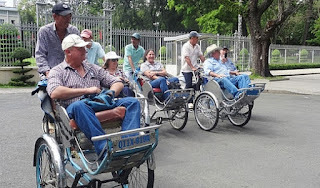 Everybody has feeling that Quỳnh is shameful with activities in which ambassadors of western countries who sit on the tri-cyclos and the cyclo conductors have to use their own sweating physical strength to bike those tri-cyclos to carry those western diplomats so they can enjoy their leisure time around the cities. This activity invokes the whole sad story of French colonialism in Vietnam for almost a century. There are some customers who wear bearish like (“gấm”) dresses and sit on the try-cyclos to enjoy views of the whole cities. Sometimes, there are couples who sit on tri-cyclos with big smiles and pay no attention to other workers who work so hard to move along these fat, well dressed people. Sometimes those workers are required to wear working uniforms exactly like real slaves in modern time. A western ambassador’s recommendation plays the most significant impact so the Vietnamese communists have sufficient time to prepare themselves to deal with various situations. Similarly, Ambassador Ted Osius’ endorsement to Nguyễn Ngọc Quỳnh is very important. It is almost the decisive factor. Ted Osius is a close student (subordinate) of John Kerry. He is also the man who aggressively opposes the heritage yellow flag of the first Republic of Vietnam especially in his close coordination with Janet Nguyen in Little Sagion few months ago. 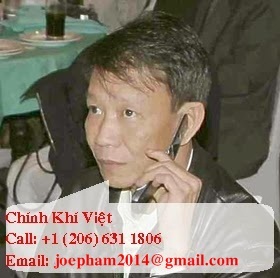 Then let’s ask how Nguyễn Ngọc Như Quỳnh is nominated by Ted Osius. A stupid person is able to immediately realize that for many decades Osius has refused the heritage yellow flag of the Republic of Vietnam. Even fake Nguyễn Thanh Nghiên wrote up some comments to praise Nguyễn Ngọc Như Quỳnh such as her father who served in the semi-military unit (police). Phạm Thanh Nghiên is somebody who is “only a parrot but she think she is a colorful phoenix”. 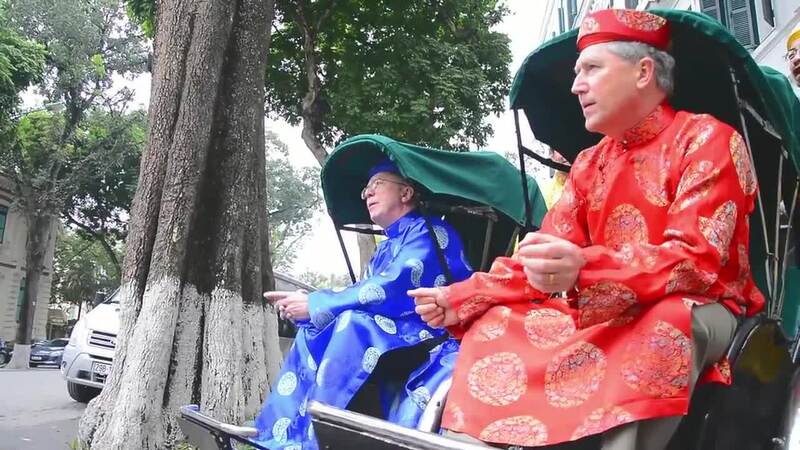 She should know that there are some high ranking officers such as Nguyễn Cao Kỳ, Trần Thiện Khiêm, Nguyễn Khắc Bình...who have denied the yellow heritage flag. Even priest Nguyễn Văn Lý also has denied the yellow flag and replaced it with a flag of old ancient ceremonies. In Northern California there are some weird “political advocates” who joined the organization to focus in boycotting and erasing the yellow heritage flag of the Republic of Vietnam. Note 4: The honoree as Nguyễn Ngọc Như Quỳnh who is not able to understand that the CPV has been forced by China while the CPV broadcasts the untruthful political slogan “Aggressor China” is her big own stupidity. And the most danger of that stupid thought is directing the oppressive Vietnamese people to wrongly determine the strategic goals of the struggle while overlooking that the CPV has been the main broker who sold off our fatherland Vietnam to China. The massive aggression of China into Vietnam is totally different from the serious issue of selling the whole country and the people of Vietnam to China which is gradually executed by the CPV. This is the strategic mistake of recognizing the goals of the struggle therefore Nguyễn Ngọc Như Quỳnh has been able to (as Ted Osius wrote up) “utilize her bravery in voicing out her social issues which inspire aspiration for peaceful changes (sic). It means “political leadership” allows oppressed Vietnamese people to cooperate with the CPV to ”peacefully change” Vietnam. Because if China is the aggressor than the CPV is only a victim(s) of China. But if we understand the CPV and all Vietnamese quisling communist members have sold our fatherland Vietnam to China then we cannot cooperate with Vietnamese communists (via the CPV) to peacefully change Vietnam. Vietnamese ancestors did strategize their defensive fights against China in their profound understanding about their main strategic goal and who the principal enemy was. Finally, they were successful to protect, enhance and enrich our fatherland Vietnam and its beautiful culture so many younger generations can enjoy the ancestors’ achievements. One simple example was the Trần dynasty had to immediately execute all national traitors before convening Diên Hồng National Referendum in order to achieve the final goal to defeat powerful Chinese armed forces. Our current world politics is an exactly similar political and military scenario.